In a generation where the newest hip-hop artists have been dubbed “Xanax mumble rappers,” the 2018 XXL Freshmen — an award given to the best up-and-coming rappers — consists of Lil Pump, the “Catch Me Outside” girl, Tekashi69 and anyone with a face tattoo and a SoundCloud account who can make a living in the industry. Among these artists, one person in particular stands out. 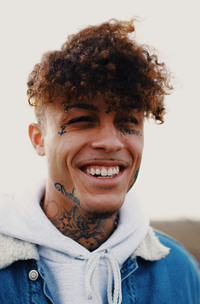 Kimetrius Foose, also known by his stage name Lil Skies, is a rapper who, despite the face tattoos and the bad reputation behind the new age “Lil Whatevers,” makes some pretty good music. I believe Lil Skies could be a pivotal part to getting hip-hop back to the way it was. After being introduced to music by his father, a fellow musician known as Dark Skies, Foose wrote his first song at the age of 4. Born in Chambersburg, Pa., Lil Skies and his family moved to Waynesboro when he was in third grade. He remained in Waynesboro, until he graduated from high school. In 2016, the year where everything changed, Skies briefly attended Shippensburg University before dropping out to focus on music. He ended up opening for a concert hosted by Shippensburg that featured Fetty Wap as the headliner. The plethora of consistent singles caught the attention of Atlantic Records, to which he is now signed. 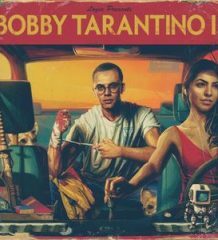 In October of 2017, the 19-year-old rapper caught a major break as Cole Bennett, the owner of the blog site Lyrical Lemonade, agreed to direct and produce a music video for the song “Red Roses.” The video currently sits at 43 million views. Just two months later, Bennett and Skies linked up again for yet another music video for the hit single “Nowadays,” which currently sits at 48 million views. In January, Skies released his first major label mixtape titled “Life of a Dark Rose” through All We Got Entertainment under Atlantic Records. The album debuted at No. 23 on the Billboard 200 chart and ended up peaking at No. 10. “Nowadays” and “Red Roses” peaked at No. 55 and No. 69, respectively. A large following coming from a town with a population of 10,000 is a big deal. At the ripe age of 19, Lil Skies is on his way to the top, and this is only the beginning. If you want to hear what I’m listening to, you can search “Matt Fassnacht” on Spotify and follow the “My Rotation” playlist or follow me on Twitter @Fuzznacht.